Christian theology cannot begin to take modern biological science seriously without attending to the way evolution necessarily complicates our anthropocentric readings of Genesis. So David Clough argues in his contribution to Barton and Wilkinson’s Reading Genesis After Darwin. Even those theologians who readily accept the basic premises of Darwin’s thought too often fail to acknowledge that human beings too are part of the created order, and are not, as he says, “suspended over it as some part-creature, part-divine hybrid.” (p. 145). However else they might engage different aspects of evolutionary theory, Christian readings of Genesis 1 remain pre-Darwinian insofar as they insist on a “human-separatist” view that posits a fundamental categorical distinction between humans and other creatures. Clough traces this human-separatism to the influence of the first-century Jewish theologian Philo of Alexandria on subsequent Christian interpretation of Genesis. In his De Animalibus, for instance, Philo considers whether animals might possess reason and concludes that what may appear to us as purposive and rational behavior in animals, is better attributed to instinct not to reason. In short, animals don’t think. Only humans do. He takes a similar position in his De Opificio Mundi, where he identifies the “image of God” with the human mind. Apparently troubled by the fact that according to Genesis, human beings were created last among the creatures, Philo offers a number of reasons why, far from contradicting human superiority, this ordering should be understood as supporting it. The most interesting of his arguments is his claim that just as a host takes pains to prepare everything before his privileged guests arrive, so God prepared the world as a “banquet and sacred display” for humans. This is strikingly similar to the readings of Luther and of Calvin, who both agree that everything was somehow created with humans in mind. Indeed, Philo’s essentially Aristotelian division between humans and other animals on the basis of reason is representative of Christian interpretation of Genesis from Augustine to Aquinas and on up to the eighteenth century. Modern interpretation of Genesis however differs markedly with respect to the meaning of the image of God. Clough notes that most commentators recognize that attempts to identify some particular human faculty (reason, language, mind, etc.) as that which images God are misguided. He also suggests that there is a general consensus today about how the image of God ought to be interpreted: as a democratization of Ancient Near Eastern political terminology, whereby the King was said to be the “image of God”. There is more dispute about this point than Clough seems to acknowledge here, but he is right to suggest a marked contrast between modern and pre-modern interpretation. 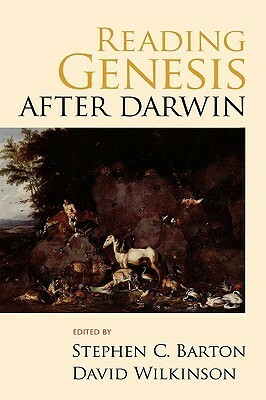 Despite these shifts however, the image of God continues to function as drawing a sharp line between humans and other creatures, and it is precisely this view that Clough wants to suggest fails to take Darwin seriously. In the second section then, Clough considers two possible ways one might reconcile the human-separatist view with belief in human evolution. First, one might argue that humans have simply developed so far beyond other creatures that they are qualitatively (not merely quantitatively) different. Clough’s main difficulty with this argument is that it is difficult to fill out the content of this gap that is supposed to separate humans from other creatures. He considers Keith Ward’s synthesis of Thomism and evolution, according to which, “when the brain reaches a certain stage of complexity, the power of conceptual thought, of reasoning and thinking, begin to exist; and that is when a rational soul begins to be.” (148). One problem with this view that Clough doesn’t consider is that, this would have to be the case not just phylogenetically but ontogenetically as well. That is, if a rational soul only emerges when the brain achieves a level of complexity capable of conceptual thinking and so on, then not only is Ward denying a rational soul to other species, but he effectively denies it to small children, to the severely mentally impaired and so on. Furthermore, as Clough notes, recent scientific studies in fields like comparative psychology and cognitive ethology continue to illustrate that human beings differ from other creatures only in degree with respect to our cognitive faculties. This is the case not only for rationality, but for capacities such as concept formation, analogy, self-consciousness, language and even fairness.Clough cites the fascinating example of Koko the gorilla, who learned a vocabulary of over 1000 words, could express humor and irony, and could converse about emotions such as grief over her deceased cat, and even about her own mortality. We could add to this list other primates such as Washoe, Nim Chimpsky, Lana, Sarah, and Kanzi; Cetaceans such as Akeakamai and Phoenix, Alex, the African gray parrot, and even a border collie named Chaser; all of whom learned to produce (or understand) various languages, signed and/or spoken, with varying degrees of success. The trouble with these kinds of examples is that, while they may suffice to complicate the human-separatist picture, they also risk reinforcing an anthropocentric understanding of “intelligence” as that which is typical of humans. It’s only from a perspective that privileges human language as an index of superior cognition that these case studies appear interesting. The task should not be to show how other animals are “like us”, but to decentralize our notion of intelligence, to recognize that our language is not a privileged point on some psychological scale, but, like other forms of animal communication, is relative to our particular creaturely ends. Nevertheless, Clough uses the example of Koko only to make his point that some of “the most frequently offered markers of difference – rationality, intelligence, language – are unable to identify a qualitative difference between humans and other creatures” (152). There is, however, a second strategy theologians might employ that does not depend on natural attributes in order to claim a categorical distinction between humans and other animals. One could argue that “we do not need a natural difference to establish a theological difference” (152). Clough identifies three alternative construals of this theological distinction based on vocation, election, and incarnation. With regard to the first, Clough admits that there is no serious theological objection to the view that God appoints human beings to a particular role within the created order, but that this by itself is an insufficient basis to draw the kind of categorical distinction between humans and animals that the human-separatist view requires. With reference to passages such as Psalm 148, Romans 8, or chapters 38-41 of the book of Job, Clough makes clear that, “the Bible repeatedly affirms that all creation participates in the praise of God and each living thing has a part in God’s purposes” (153). In sum, our particular vocation as humans before God “denotes particularity rather than separation from other species” (153). Arguments based on election claim that just as God calls Israel to be set apart from other nations and to enjoy a particular privileged status, so God elects humankind to a special status among creatures. Such an argument would it seems provide the necessary grounds for the human-separatist case. But, as Clough contends, there are no independent grounds, Biblical or otherwise, to maintain that God has elected human beings in this way. Walter Bruggeman’s argument for the election of humankind, for instance, is based on Karl Barth’s assertions about the special dignity of humanity, which in turn is grounded in his interpretation of the doctrine of the incarnation. So arguments from election turn out to depend upon prior arguments based on the incarnation. Barth’s anthropocentriem is well known. It is one of his central tenets that God is ‘for’ humankind. In the incarnation of Christ, who is the center of Barth’s theology, God becomes human, that is, takes on humanity. Such a construal makes it difficult to avoid a categorical distinction between humans, as the privileged creature in whom God becomes incarnate, and everything else, including animals. But, Clough counters, there is no Biblical reason why we should narrow God’s purposes in the creation and redemption of the universe, to human beings. In Genesis, God pronounces each creature “good” in itself, without reference to it’s appropriateness for human purposes (it’s telling that God does not give humans a separate pronouncement as He does other creatures, but steps back after he creates them and pronounces the whole of creation “very good”). He notes as well, Paul’s affirmation that God’s redemptive work is for the whole of creation in his letters to the Corinthians and to the Colossians. Clough makes his most compelling argument in my mind when he turns to consider disputes within the Church concerning what aspect of the incarnation should be determinative for our understanding of it’s scope. Is his “jewishness” the determinative feature? This seems to have effectively been rejected by the early Church in it’s affirmation that Gentiles should be admitted to the body of Christ without precondition, without, that is, first converting to Judaism (Acts 15). Similarly, we could ask is his “maleness” determinative? The history of the struggle of women for full and equal acceptance in the Church can be understood as a struggle against a Church effectively operating under the presumption that it Christ’s maleness is determinative. As Clough notes, “If we have widened our understanding from God becoming a Jewish male human, to male human, to human, there seems to be no barrier to broadening our view one step further in claiming that the incarnation is best understood as God becoming a creature” (155). Indeed, as David Cunningham has argued, “flesh” seems to be a particularly significant feature of the incarnation. It is central both to the Nicene formulation and to the Prologue to John’s Gospel. According to Cunningham, “God’s incarnation is not so much defined by the accidental properties of this flesh (Jewish, male, human) as it is by its essential fleshly character, which human beings share with many other creatures.” (Cunningham, 116). If, as Romans 8 has it, the whole of creation is groaning in need of God’s redemption, and if as Gregory of Nazianzus proclaimed, “what Christ does not assume [in the incarnation], he does not heal”, then it would follow that Christ must, in some sense, assume that which is common to all creatures, what Clough refers to as creatureliness. Thus, far from establishing a categorical distinction between humans and other creatures, the incarnation must be read as God becoming a creature, first and foremost. Clough concludes that his arguments make clear that “the human-separatist view that posits a qualitative theological distinction between human beings and other species is incompatible with the belief that human beings evolved from other animals” (156). This is a strange assertion to make given that the majority of the latter part of the paper is dedicated to theological arguments for human-separatism that Clough acknowledges are independent of natural, biological considerations. It seems to me that one could hold to one of these latter theological distinctions, without thereby contradicting Darwin. Nevertheless, I find Clough’s arguments against all human-separatist views compelling.